Every day, we hear from professionals in education who are stuck in unmanageable education video platform scenarios that lack clear direction and fall short of overall goals. You know YouTube isn't enough and isn't a true education video platform. If you have a homegrown system it is becoming increasingly unmanageable. If you are using a premium platform you know the overpriced subscription fees are inhibiting you. And you've probably tried an open-source education video platform that ended up too complex, and full of hidden costs. We feel you. You need a valuable solution that allows you to choose the best tools to suit your needs, and eliminates the risk of proprietary lock-in. 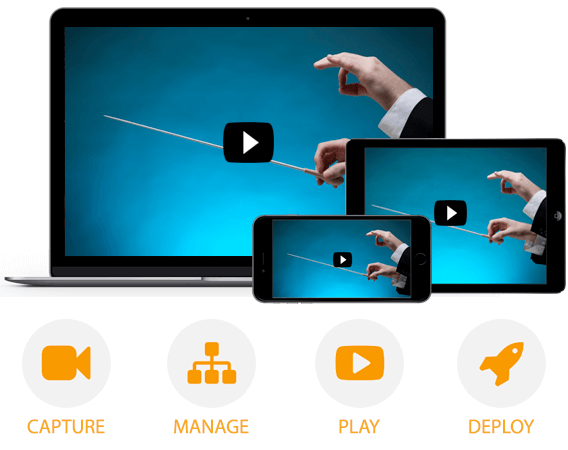 Ensemble Video is compatible with a wide variety of video tools and technology. Check out our compatibility chart! 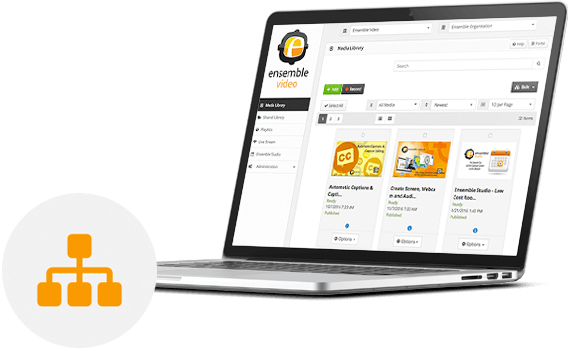 Ensemble Video is a turnkey education video platform that streamlines video capture, video management and video publishing on our flexible deployment options in the form of Self-Hosted, Cloud-Hosted, Hybrid-Hosted and Multi-Tenant (consoritum hosting) models. 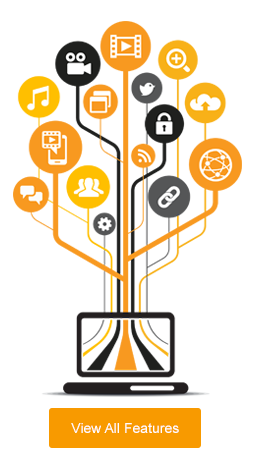 Our education video platform customers know that video capture and delivery is a powerful elixir that can accelerate learning, harmonize decision making, facilitate communications, increase productivity and reduce costs. 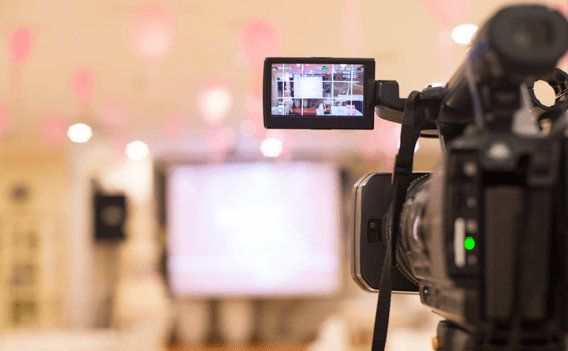 This value proposition has created a great demand for the Ensemble Video education video platform as many organizations are seeing increased demand for our diverse capture needs in their organization. Learn more about our Lecture Capture, Screen Capture, Live Stream Capture, and Mobile Capture solutions. Ensemble Video works in concert with users and systems across your organization to enable collaborative sharing and management of an ever-increasing flow of education video content. Regardless of its source, our education video management platform ensures all your video has a central, secure home. Our video platform streamlines the most time-consuming steps of uploading, encoding, securing and organizing video assets. We can even automatically ingest your Zoom or WebEx recordings into specific media libraries! Ensemble Video's web publishing tools make it easy to publish videos or playlists on any website with our responsive embed codes or LMS/CMS integrations. 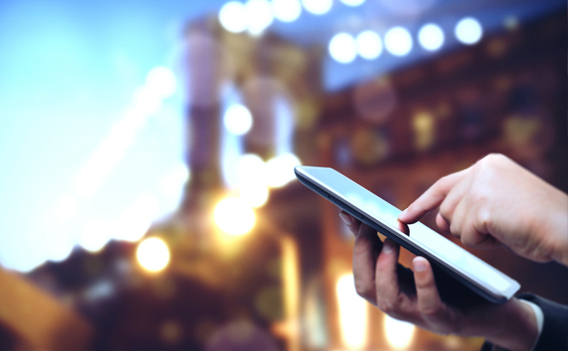 Ensemble Video's simple process guarantees video delivery to virtually any device on the market. We designed our platform and player to ensure that your videos will play anytime and anywhere. Additionally, Ensemble Video offers a variety of education focused features to enhance teaching, learning and communication. 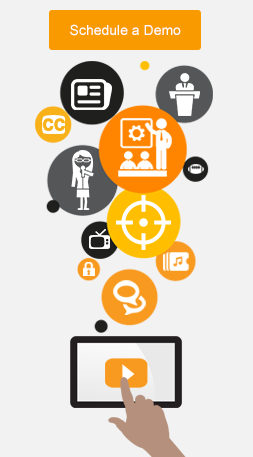 Finally, explore our Accessibility, Video Quiz and Annotations features now! Ensemble Video's is a turnkey education video platform that streamlines video capture, video management and video publishing. 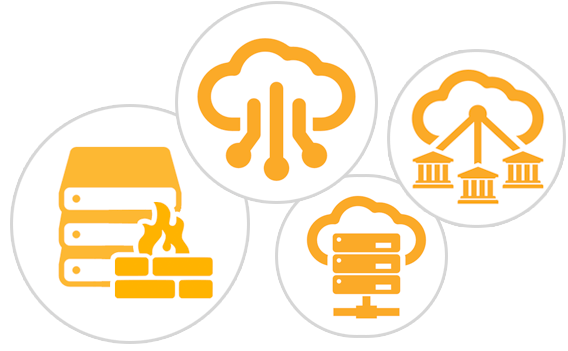 Please review our core features below or you can view all our features here.